The video for Katy Perry’s track Dark Horse has been edited after it was accused of blasphemy. Over 65,000 people had signed a petition to say the video was offensive to Muslims, specifically a scene in which Perry, styled as an Egyptian queen, turns a man wearing a pendant with the word “Allah” on it to dust by shooting him with lightning. 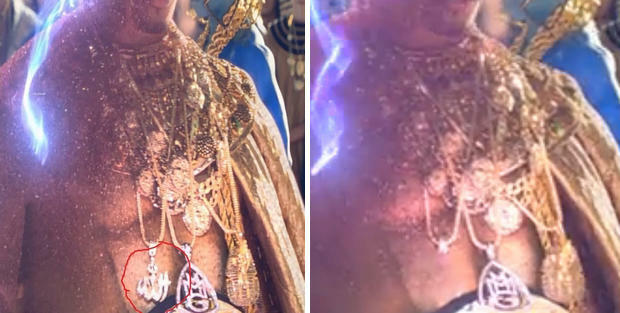 In response to the petition, the pendant appears to have been erased from the scene although it is unclear who ordered that changes be made to the video. To date the Dark Horse video has attracted almost 40 million views on YouTube.